The Lecce Italian Language Experience: The latest package for May 2016 is out now. The latest package for May 2016 is out now. A very successful September 2015 Lecce Italian Language Experience has just finished. 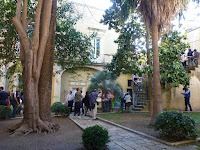 You can see what we got up to via the Learn Italian in Lecce Facebook page.